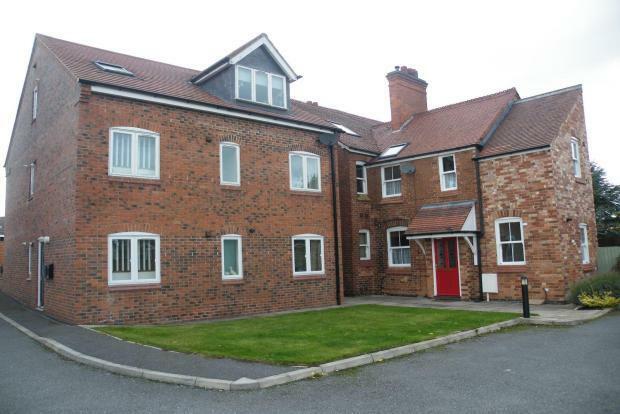 2 Bedroom Apartment To Rent in Ashby-de-la-Zouch for £625 per Calendar Month. A modern two bedroom fully furnished apartment offering a spacious open plan lounge and modern fitted kitchen with appliances, two double bedrooms, bathroom and en-suite. LARGE OPEN PLAN LOUNGE AND KITCHEN neural decor, wooden floor, radiator and double glazed windows to the front aspect, KITCHEN AREA with a range of modern oak wall and base mounted units with granite style worktops, stainless steel sink, fitted stainless steel oven and hob, wooden floor. MASTER BEDROOM is a double with radiator, neutral decor and carpets. En-suite with shower cubicle, WC and wash hand basin. BATHROOM part tiled with three piece suite comprising of bath with over head shower, pedestal wash hand basin, low level WC and wooden floor. EXTERNALLY there is allocated parking for one car and visitors spaces.